OK, guys…THIS is the recipe. 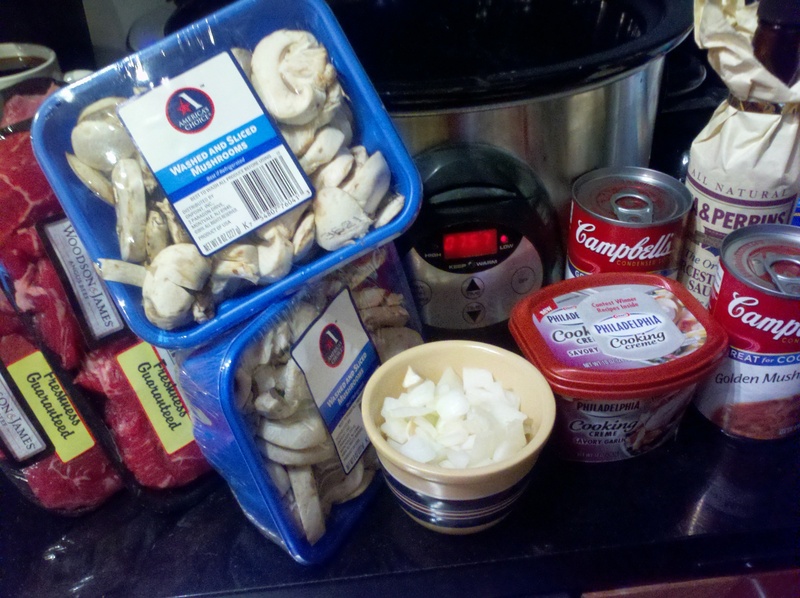 I know I have touted a beef stroganoff (a la crock pot) recipe on this blog before, but I wanted a redo. The other one was OK, but I felt a bit heavy. 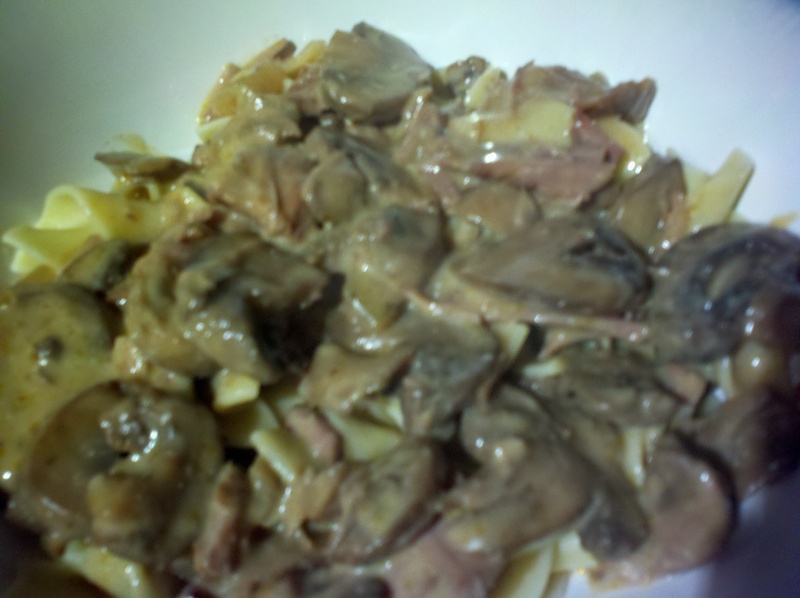 So this time, instead of using cream of mushroom soup, I used golden mushroom soup. 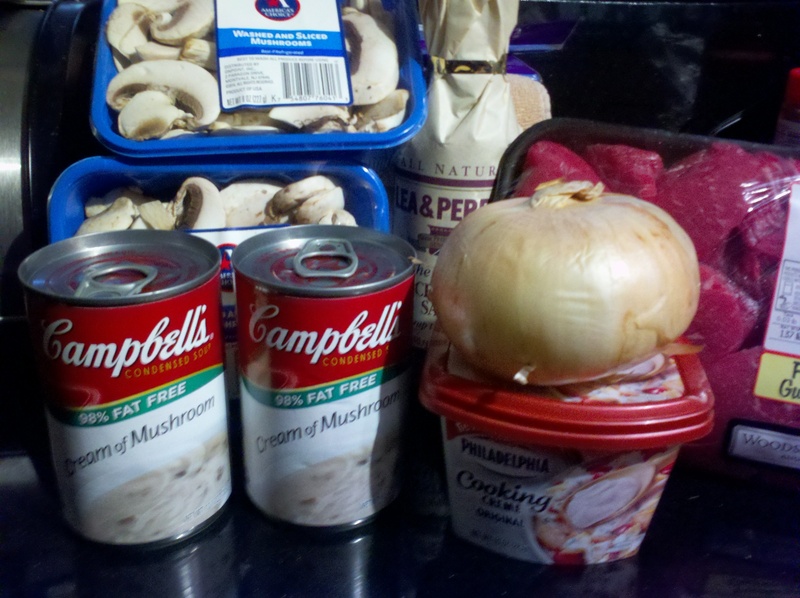 I also used 2 containers of mushrooms this time to add a bit more veg-factor, and substituted the plain Philadelphia cooking cream for the garlic/herb variety (which they did not have at the store last time). Anyway this recipe turned out VERY well. It was deeeeellliiiish! I also changed the carb I served the stroganoff with. Last time I did spiral pasta and this time I went with traditional egg noodles. YUM! ← Chicken Pot Pie A La Crock: EH.